Happy Tuesday! Mondays are always kind of blah for me. I mourn over the end of the weekend and usually do not get a lot done- but yesterday was a different story. I woke up early and started with laundry. It still confuses me how two adults can amass so many loads of laundry in the short time of a few days. My husband must be secretly wearing 5 layers underneath his regular clothes. Anyways as I did laundry I also cleaned up the kitchen and organized. I am starting as a independent product consultant for doTERRA essential oils and as part of the initial training I was given a book on tape to listen to. Before 1 PM I had listened to the entire book (like 4 hours long! lol) and finished all the laundry except the clothes I was wearing. I also made 2 different Nutribullet smoothies, a whole pan of Mini Paleo Meatloaf and roasted a head of cauliflower with garlic. After all that I quickly scarfed down some meatloaf and headed to a meeting at 1:30 and then directly after we went to my parents to watch the football game (BCS championship) where our Auburn Tigers lost in a very exciting but obviously disappointing game. Whew. It was a long, but productive day. So let's get to the good stuff. Some recipes. This is so simple. 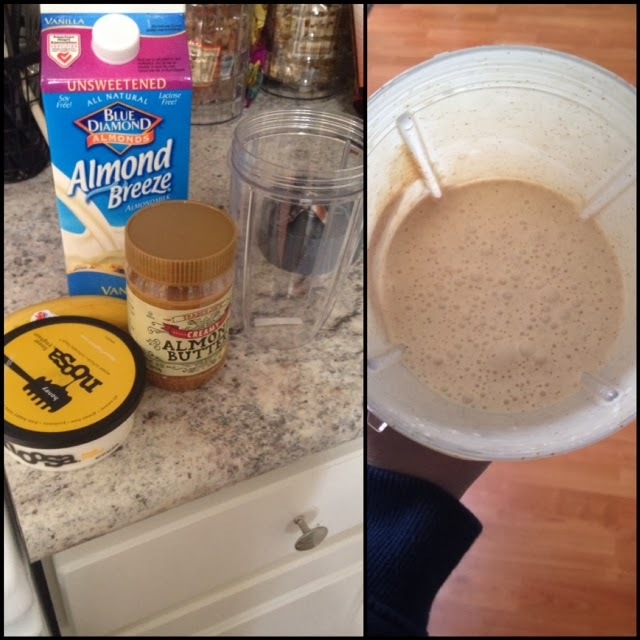 Take a banana, some yogurt (my all time favorite is Honey Noosa and I used half the carton), a big spoonful of almond butter and finish by filling to the line with almond milk. Mix. Drink. Enjoy. (We do not have an ice machine in our fridge and I keep forgetting to get ice. I would suggest adding some ice to this to make it nice and cold). 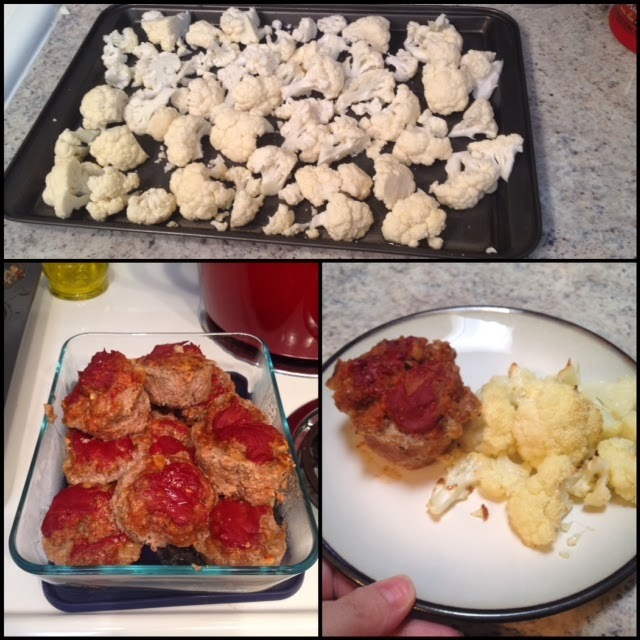 I cooked up some mini meatloafs and the cauliflower so we have lunch or a quick snack on hand. I love the size of the meatloafs because I usually grab one with veggies and it is a perfect sized lunch (I am actually eating one now). With this lunch I made myself a NUTRiBULLET smoothie. I did not do a very good job of measuring. 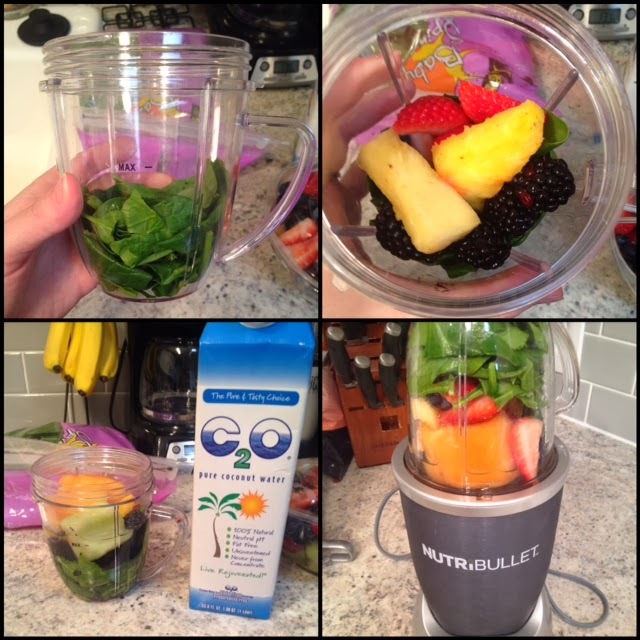 I filled the bottom with a HUGE handful of spinach then I filled the rest up with some berries, melon and pineapple. I filled with coconut water to the fill line. 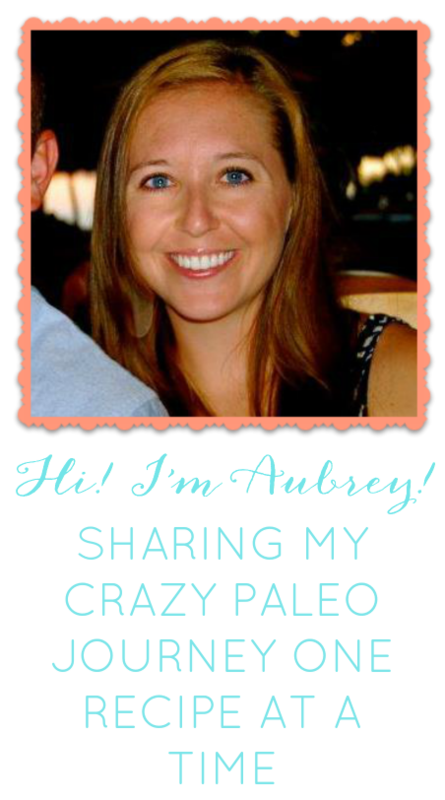 I did not post an after picture- the reason being it looks like a gross brown slime. It did not however taste like a gross brown slime. It tasted pretty good! Not my favorite but I needed to get some green veggies in my body. It was worth it. Today I have had a banana, some plantain chips ( i know carbs, carbs, carbs) and some meatloaf with cauliflower. I will try a new smoothie today and see how it works! I watched this video today and it really interested me!